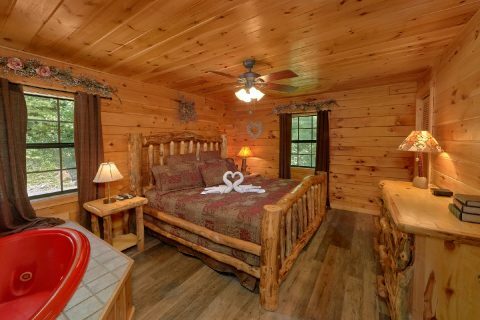 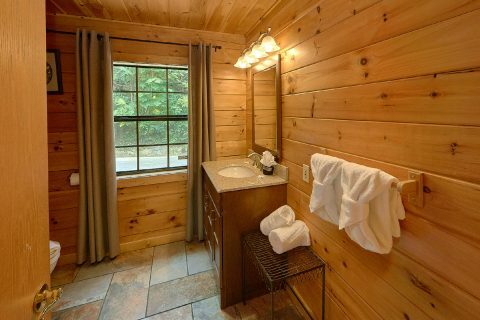 You'll be asking for "One More Night" after you stay in this luxury Pigeon Forge cabin with everything you need for an incredible vacation in the Smoky Mountains. 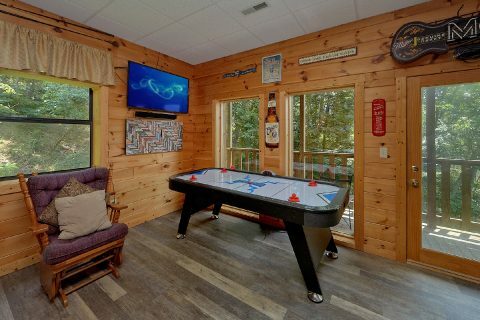 With a great location, a beautiful mountain view, and a top-notch set of amenities like a full game room, guests of this cabin will find plenty to love about this comfortable retreat. 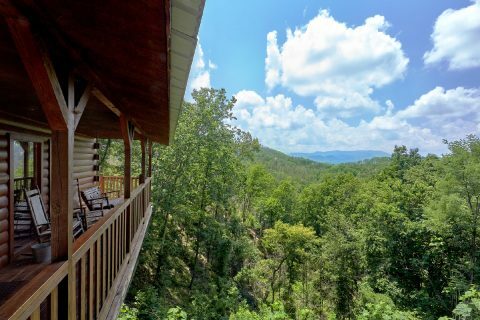 From this cabin's wrap-around deck with chairs, a porch swing, and year-round hot tub, you can survey a beautiful view of the Smoky Mountains rising up from the valley. 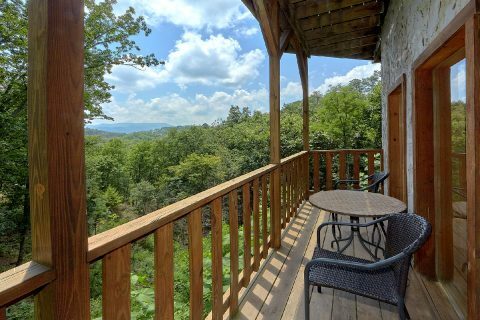 From the morning sunrise to the sunset, you'll enjoy gorgeous vistas that will help you unwind to truly enjoy your stay in the mountains. 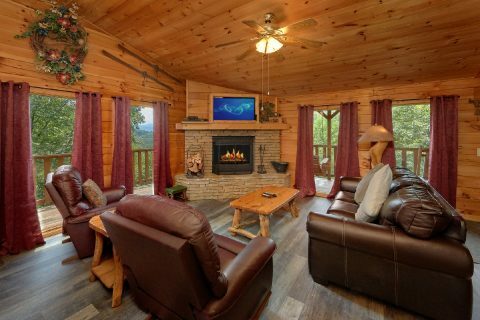 In this cabin's living room, the fireplace and large windows create a comfortable space that's perfect for enjoying the beauty that surrounds this luxury cabin in Pigeon Forge. 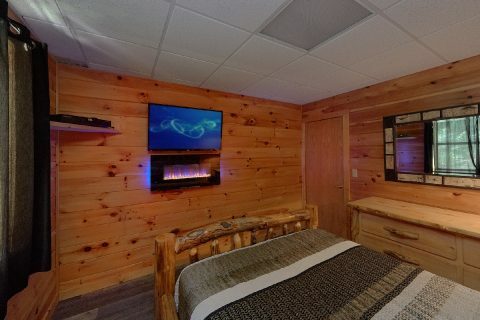 Comfortable furnishings and a flat-screen television are ideal for enjoying a peaceful night watching a good movie in your cabin escape. 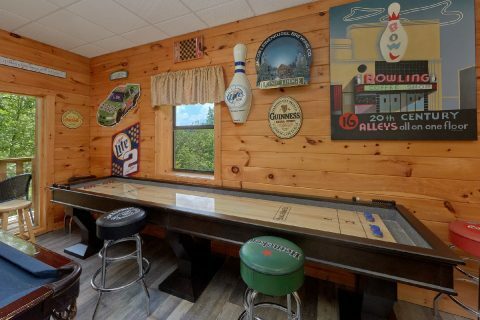 On the lower level, this rental boasts a game room with a pool table, air hockey table, foosball, classic arcade games, a 12-foot shuffle board, and a flat screen television that's perfect for relaxing with friends. 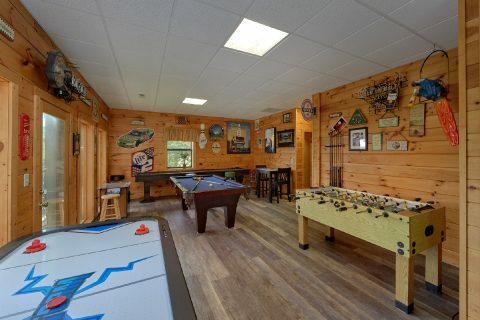 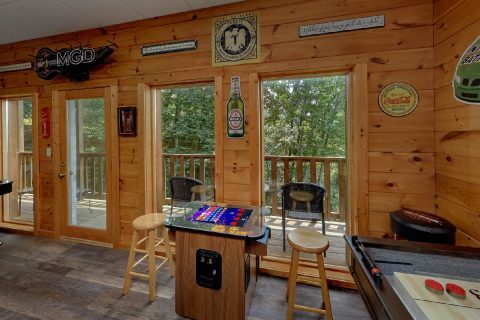 Even if poor weather interrupts your Smoky Mountain vacation plans, your family or group can always enjoy a few hours relaxing in the game room until the sun comes out again! 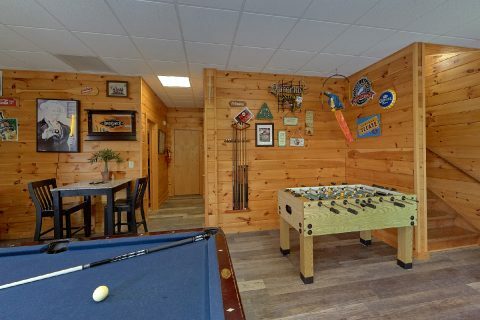 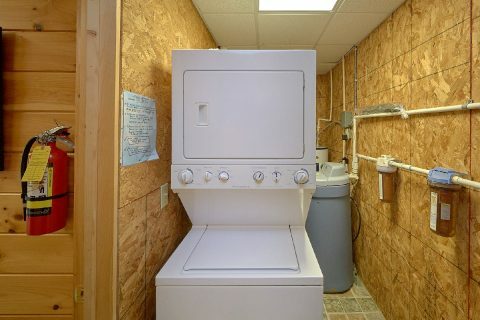 Some practical amenities that help you make your vacation a breeze are the full kitchen, WiFi Internet, and a washer & dryer that are provided for your convenience. 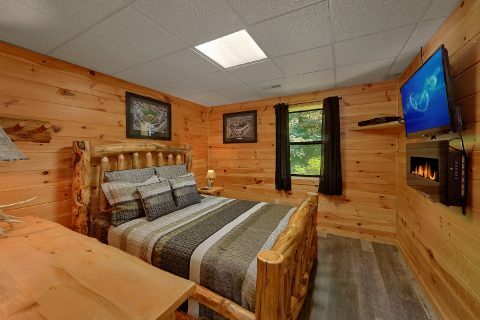 This cabin's two bedrooms offer a king-size bed and a queen-size bed respectively. 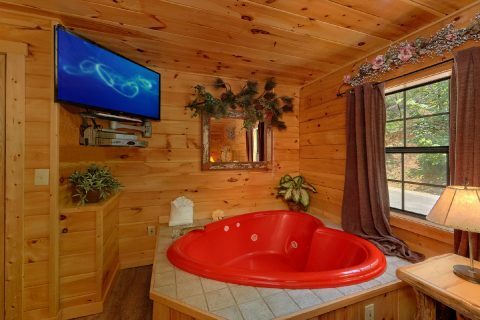 The master suite even boasts a heart-shaped jacuzzi tub that's ideal for relaxing with someone special. 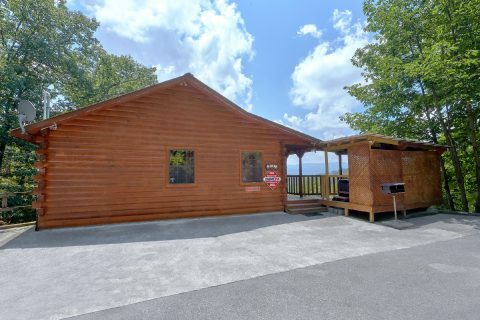 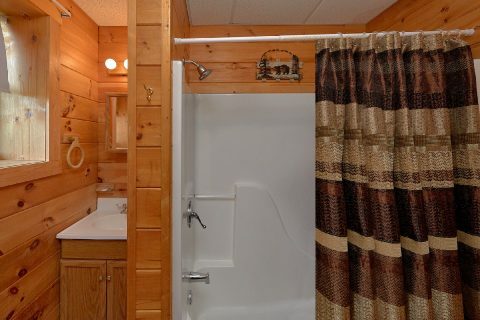 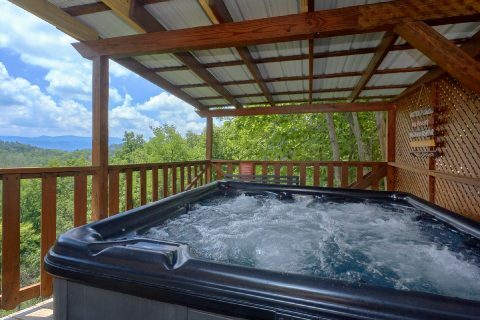 Since this cabin is located in the Upper Middle Creed road area only 5 minutes away from the Pigeon Forge Parkway and Dollywood, guests of this cabin will have plenty of great activities to enjoy on their vacation. Race to Dollywood early in the morning to be first in line to some of the top coasters in the Southeast! 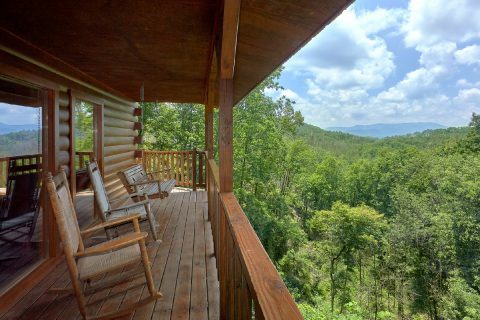 Start your day with a hike in the nearby Great Smoky Mountains National Park. 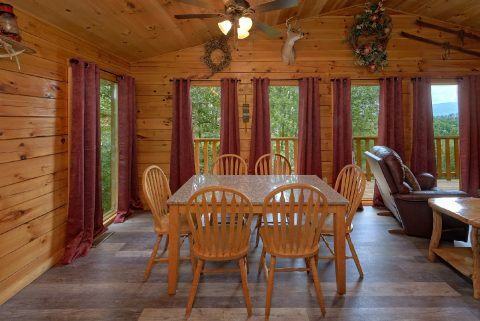 Or sleep in at your comfortable cabin and make a delicious country breakfast to enjoy with your family. 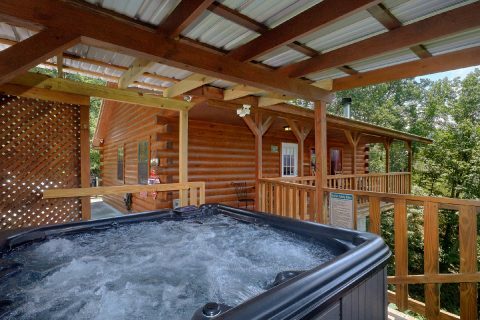 When you stay at "One More Night," you'll save big with our special cabin discount! 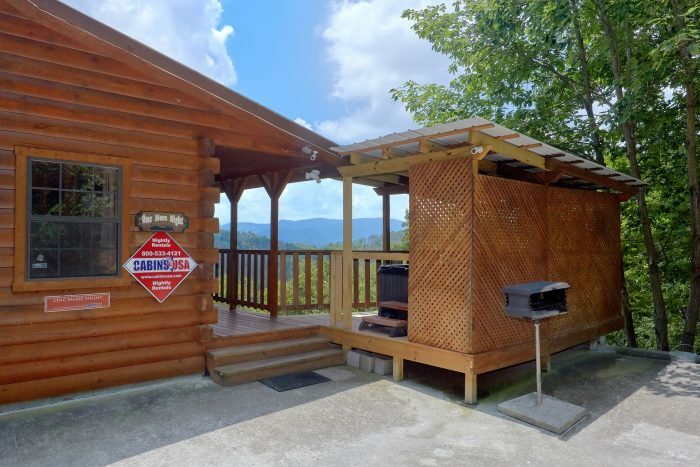 Simply book this cabin online or call our reservations to reserve your rental with spectacular mountain views when you stay with Cabins USA!